She is the goddess of the hearth fire. She was seen as the gentlest and the calmest of all the gods and goddesses-presumably because she was a little bit like an introvert. Hestia was never seen of much importance and wasn't really mentioned in any stories. Daughter of Cronos and Rhea; she can technically be thought of as both the first born and last born. This is because she was the first child born-but was the last one thrown up by her father, Cronos, after he had swallowed all his children. 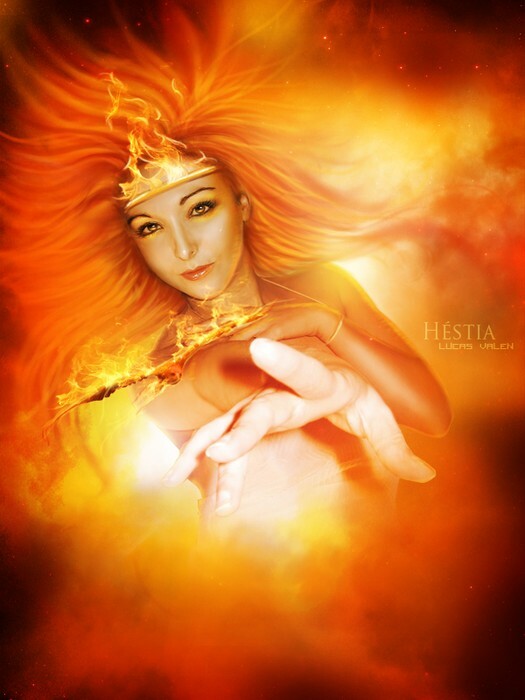 Hestia. N.d. Royal Cast Collection, Copenhagen. Valencio, Lucas. Hesita. 2012. N.p. 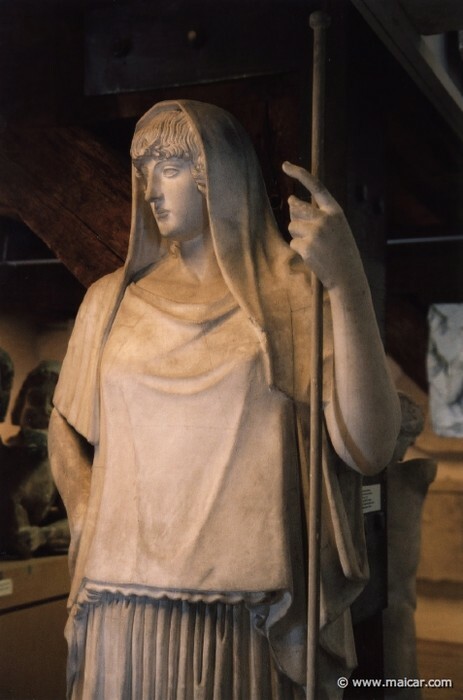 Hestia wasn't ever involved with any men; instead she swore to remain a maiden at the head of Zeus. She had no children but displayed a motherly-love to most, especially orphans. She did not enjoy adventure or drama so she kept to herself and tended to the hearth fire instead. She wasn't worshiped at temples but at the family hearth instead. Lindesmans, Micha F. "Encyclopedia Mythica." : Greek Mythology. N.p., 03 Mar. 1997. Web. 05 Nov. 2014. <http://www.pantheon.org/areas/mythology/europe/greek/articles.html>. "Hestia." Fact Monster: Online Almanac, Dictionary, Encyclopedia, and Homework Help. Columbia University Press, 2012. Web. 07 Nov. 2014. 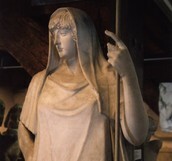 <http://www.factmonster.com/encyclopedia/society/hestia.html>. Downing, Christine. "Hestia." Gale Virtual Reference Library. Gale, 2005. Web. 5 Nov. 2014.